Ever since Li Na won the French Open in 2011, her commercial endorsements started popping up everywhere here in the country. This particular mineral water endorsement can be seen all over the Capital's subway system. But here is the thing. That girl above looks nothing like Li Na. Here's a picture of her below. Walau. Photoshop overkill liao lah! p.s. 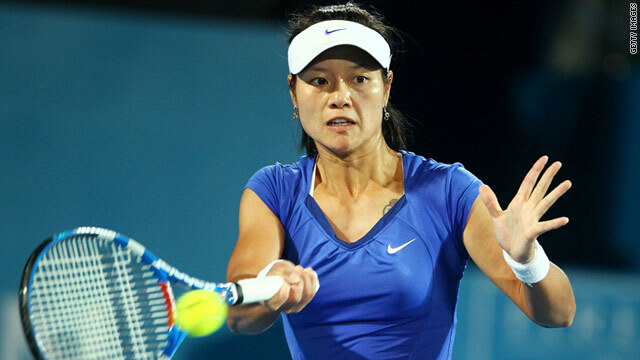 Click here to see another Li Na photoshop fail. Scroll down to see the player introduction on the Jumbotron.